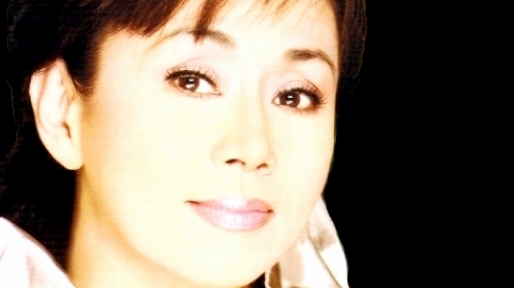 MANILA, Philippines — Last month, we discussed leading female stars’ “career arcs” with some show biz colleagues and most of us agreed that Vilma Santos has had the most interesting and instructive career to date — and her future prospects could be even more remarkable! We have other outstanding female stars who’ve won all sorts of awards, essayed a great variety of roles with distinction, and enjoyed a nationwide influence beyond their show biz context. Major crises – But, Vilma has done more, gone further and weathered major crises besides, so she’s in a category all her own. See if you agree: Vilma started her career as a child star, and this made her grow up in a hurry. Unlike many other child talents who stop getting offers at the onset of adolescence, Vilma kept right on working in front of the TV-movie cameras, all the way to pang-kilig teenybopper roles, her precocious love team with Edgar Mortiz, and young-adult roles. Financial reverses pulled her down momentarily, but Vilma fought back and paid her debts, eliciting the admiration of entertainment industry leaders, who were surprised and gratified to see that the “cute” star had true grit going for her, as well. Then came another challenge that threatened her career’s continuing upward trajectory: Vilma had been acting her heart out in her starrers, but she always seemed to end up second-best to Nora Aunor when it came to awards. As a result, Vilma took a hard look at her options, and decided to concentrate on relatively daring roles that Nora felt incapable of doing full justice to. Challenging roles – This meant that Vilma would go for challenging roles like the tragic stripper in “Burlesk Queen,” the demented lead in “Dama de Noche,” and the modern, conflicted wife in “Relasyon!” Happily, Vilma’s daring gamble worked: Viewers didn’t feel that she had “cheapened” herself. Many awards came her way, and the industry finally saw Nora and Vilma as co-equal queens, not only of the box office, but also of movie awards competitions. Later, Vilma’s thespic stock went up even further when she played an activist nun in “Sister Stella L.” Not only did the difficult role stretch Vilma’s limits, but it also made her “relevant” in terms of social issues, as “Minsa’y Isang Gamu-Gamo” had earlier done for Nora. This new sensitivity to extra-show biz concerns peaked when Vilma married rising politician, Ralph Recto. Soon, she herself ran for office, and served Lipa City well as its mayor for nine formative and affirmative years. Her constituents’ approval of her tenure invited her to dream bigger in political terms, and she ended up in a hard-fought campaign that made her the governor of Batangas province. Sure, Vilma’s focus on politics for the past decades has limited her show biz involvement, but her colleagues have supported her in her new endeavor, because she has proven that some stars can do more than entertain. Female TV-movie luminary – Yes, male stars like Fernando Poe Jr. and Joseph Estrada have done the same, but it’s gratifying to see that a female TV-movie luminary like Vilma can also serve the nation. To date, Vilma’s political posts have been local and provincial in nature, but her recent triumph at the polls has made some “queenmakers” dream of next pointing her toward running for a national position — as senator, or even higher! At the moment, this sounds like a fantasy, but stranger things have been known to happen in this country, where show biz and politics are — very comfortable bedfellows! Tandem – It’s interesting to note that, some years ago, we saw the Ralph-Vilma tandem eventually contesting the top post in the land with Kiko-Sharon, Mar-Korina, or other, yet-unheralded politics-and-show biz pairings. — And now? Will it be Vilma-Ralph, instead? In any case, Vilma has been scrupulously learning her political lessons, so she could decide to take the “big step” without waiting for another decade to elapse. Adding to her confidence is the fact that, although she’s rarely seen on the big and small screen these days, she remains a popular star and her movies have continued to hit it big at the box office — evincing a popularity that she can make full use of in a national election. This entry was posted in ARTICLES and tagged ARTICLES, the star for many more reasons. Bookmark the permalink.